Made by the manufacturer’s over at ProSource, a popular men’s health and bodybuilding supplement manufacturer, comes this unique supplement which they claim “truly represent[s] the most potent product of its kind in the world”. 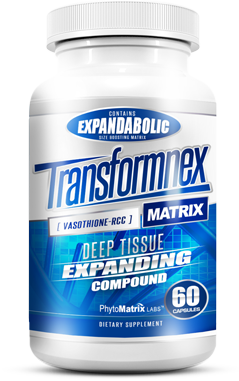 Unlike other supplements on the market, this product was designed to be taken by those who looking to increase muscle mass, and should be taken in conjunction with working out. One of the first warning signs, just from an initial inspection of the product, is that it contains soy. While soy is a perfectly safe ingredient for people to consume, it is an estro genic ingredient, meaning that it increases estrogen production throughout the body, and thus negating any possible supplementation. Putting a soy based ingredient in a supplement is similar to putting nuts in the food of someone who has a nut allergy; you don’t do it. The effects of soy completely negate any effects gained by supplementation, and it can even cause problems of its own. 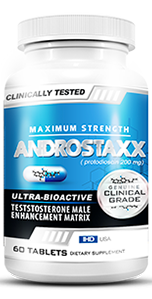 Also, the ingredients included in Androtest seem to be more useful to those looking to improve sexual stamina or muscle gain, and less for those strictly trying to regulate t-levels. It is always refreshing to see a product try to step outside the box and try something new. While Androtest may not be the most potent or effective supplement on the market, it is admirable that it went a different route and added a unique set of ingredients in its formula, and for that we commend Androtest. Unfortunately, its unique addition of some soy based ingredients does not provide the desired results we had in mind, and for that we have to rate this product towards the bottom of the pile.